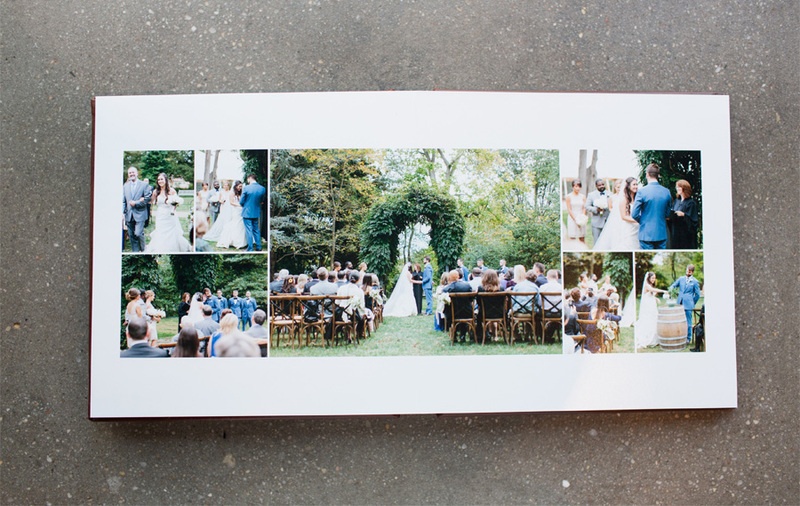 Albums are the perfect heirloom to give your children, grandchildren, and more. A way to say "this is what our love looked like the day our story took on forever". Plus, there are only so many framed wedding photographs you can put on your walls before it starts to get weird. Whereas 30 pages worth of wedding album is perfectly normal! Amen to that! When my husband and I moved into our current apartment soon after our wedding, I just could NOT decide on a sole favorite wedding photo to hang up! Fortunately, we received a 12-image collage frame as a wedding gift which gave me the option of putting up a dozen wedding photos in our entryway. Fast forward a few years... the collage frame now feels awkwardly excessive since the photos are no longer recent. When we move to a new place later this year, I intend to downsize to one wedding photo on the wall. 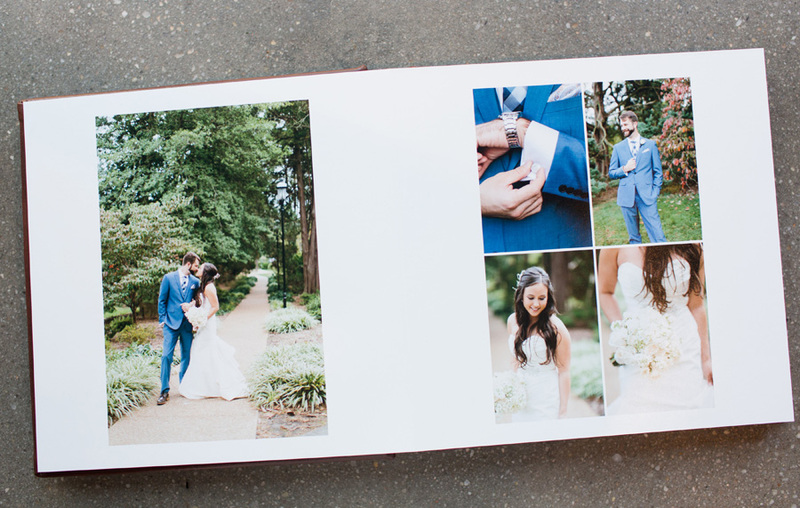 It makes me sad that the single portrait will no longer tell "the story" of our wedding day, but never fear, that's exactly what our wedding album is for! 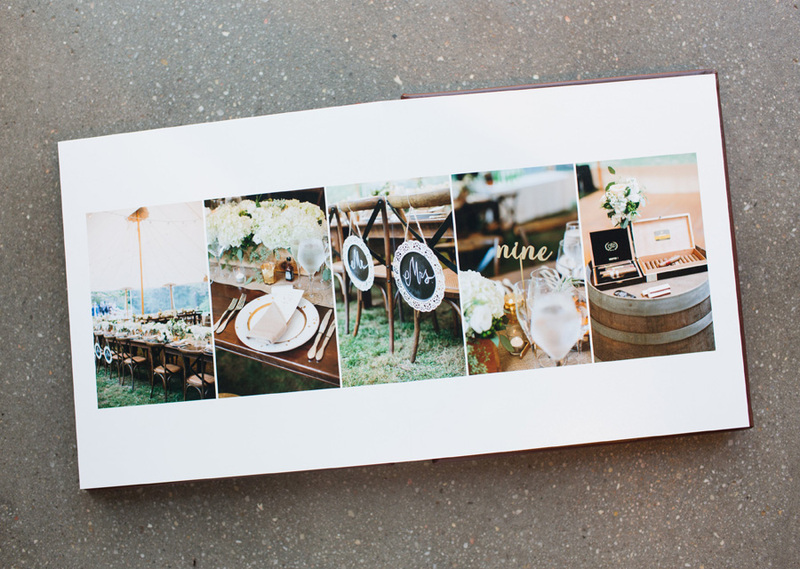 Even after the wedding photos on our walls are completely replaced by photos of our travels, our pets, our future children, etc., I intend for our wedding album to still be available on our bookshelf or coffee table. No shame in that! 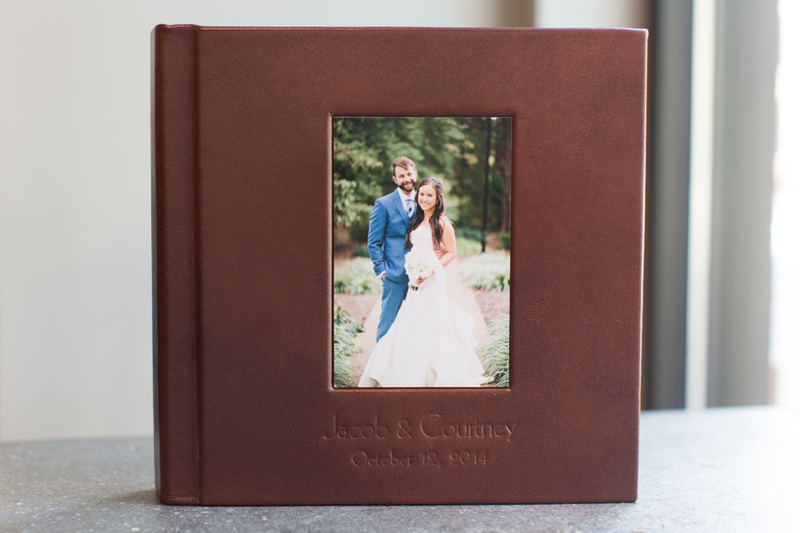 Now it's time to check out this beautiful Leather Craftsmen album that Abby's clients (and their children and grandchildren) will hopefully treasure forever. Thanks for sending us these photographs, Abby! Click through the slideshow below to view the whole design. 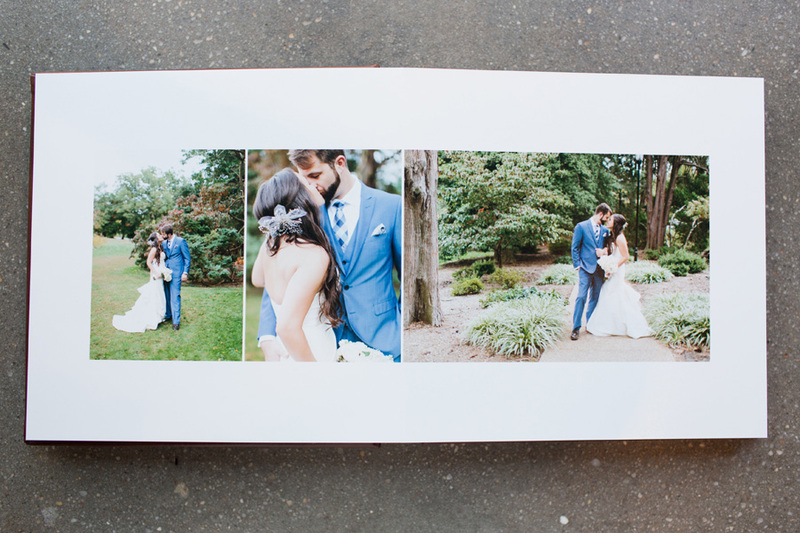 We especially love the perfect closing photograph on the last page!